Daniel ran hot and cold with this one. 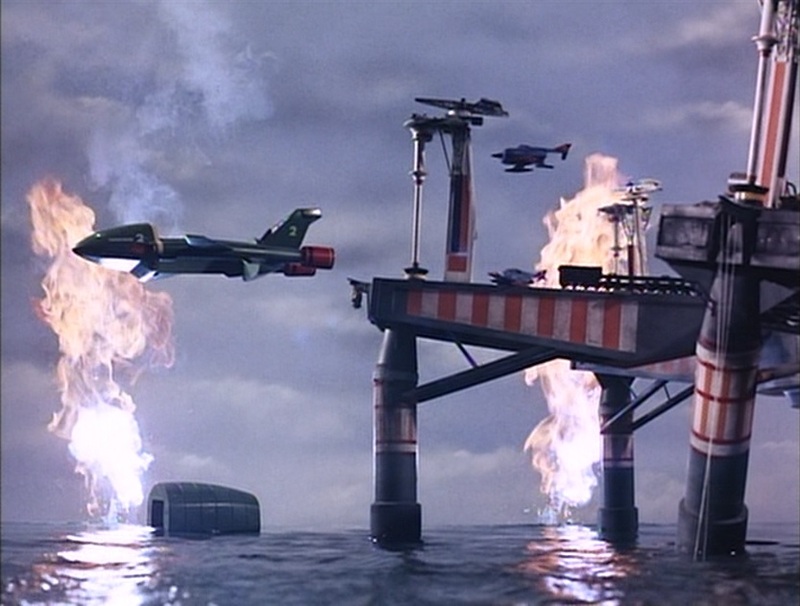 We enjoyed the whole thing because it had terrific balance between the fun Tracy Island stuff and the mayhem at sea. Lady Penelope insists that Jeff take a vacation and join her at her sheep ranch in Australia for a few days, but Jeff can’t relax with anybody else in charge. Daniel got restless and waited for something to happen. When things did happen – underwater explosions, fire jets, collapsing oil rigs, crew trapped in a diving sphere – it got so intense that he had to hide behind the sofa. Absolutely perfect, really.